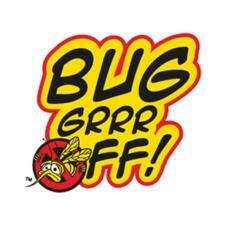 Made in Australia, Bug-grrr Off provide a range of vegan insect repellant for all conditions. Free from the chemicals commonly found in insect repellants, such as DEET, Bug-grrr Off provides natural protection by repelling insects through a potent formulation of essential oils. This powerful blend will protect your skin from insect bites without the use of harsh ingredients, with the strong scent repelling bugs without irritating your skin. Bug-grrr Off's range of sprays and roll ons are safe for the entire family and provide protection for up to 6 hours. We love their Jungle Strength Spray for maximum protection during Summer! Why you need to be using natural insect repellent!